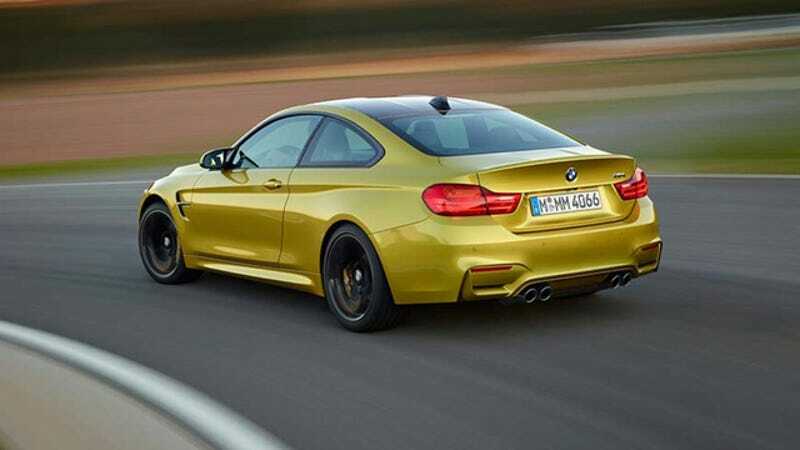 The 2015 BMW M3 and the misnamed 2015 BMW M4 (let's just call it the M3 Coupe) are going to be all sorts of wonderful. And now we know just how much all that wonderful will cost. This is a case where two is greater than four. Or at least more expensive. When the 2015 M twins go on sale, you can expect to pay $62,000 for a base M3 and $64,200 for a base M4. The last M3 coupe (RIP) started around $61,000, so these are modest base price increases over the previous cars. Of course, like a Porsche 911, there really isn't such a thing as a base M car. The fine folks over at BMW Blog have all the juicy details on the packages, options, colors, and other good bits that come with M3 or M4 ownership. No word on a factory badge replacement option on the M4 to read M3 though. That's probably going to be an aftermarket thing.